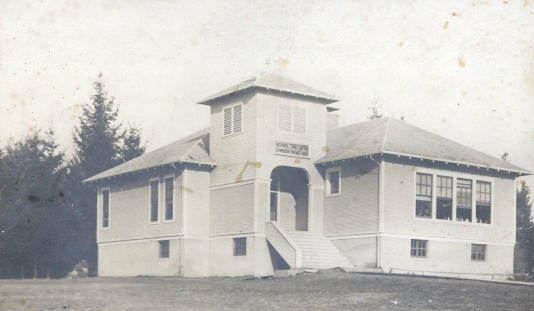 The newly constructed Garden Home School in 1912. This was its second year of operation; during its first year, classes were held upstairs in the Jager Store across the street. The schoolhouse was completed by September 1912 and stood on the northwest corner of Rex (now Oleson) and Nichol (now Garden Home) roads, and had two classrooms.